What is Clove Oil ? Clove Bud essential oil is pale golden yellow in color and is steam distilled from the flower buds of the Clove tree. It is a powerful oil, treasured for its scent, being very warm, spicy, with a dry fruitiness in its character. Clove oil is known for its pain relieving properties for toothaches, due to the high amount of powerful eugenol that it contains which kills bacteria and numbs pain. It's an antiseptic, anesthetic, and antibacterial used for gum disease, dental abscesses, earaches, arthritis pain, and even colds. 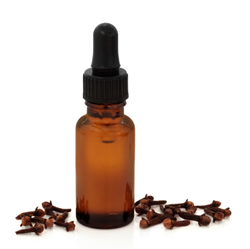 Clove essential oil should always be blended, and used diluted in solutions. It is a nice note to add to a number of oils, with a special affection for orange (remember about the old tradition of pomanders, the oranges studded with cloves?). Whether blending with other citrus oils such as grapefruit, or lemon, remember that just a little is all you need. Clove also blends well with the spice oils like ginger, and allspice, or geranium, rose, and even sandalwood, ylang-ylang, and jasmine. 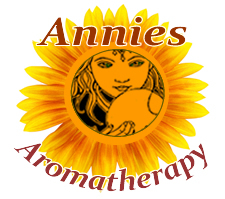 It may be a potent oil, but it is a fun scent to experiment with to influence or create new scents. Use (a few drops on a cotton swab) directly on a painful tooth or gum, and don't swallow the oil. For a more thorough treatment, use in conjunction with a chamomile cheek massage blend. Clove oil is beneficial in mist sprays or diffusers to disinfect and bring the clove scent into the room. Cloves add strong, spicy zest to many foods and herbal teas Combines well with cinnamon, cumin and ginger in spice mixtures. Clove also improves digestion. Botanical Information - Rituals & History : The Clove is a tropical evergreen tree, native to the islands of Eastern Indonesia, (Molucca Islands), once known as the Spice Islands. The oil of cloves is used in medicinal applications and cloves may not be used often as a culinary condiment, but they certainly have their own special place in the kitchen. The ancient Egyptians, Greeks and Romans all used cloves. Courtiers in second century China freshened their breath with cloves before seeking an audience with the Emperor.